Method Grid : Design, build & share your methods & procedures. Intellectual Property (IP) is one of the most important assets that an organization can build. Firms with structured, developed IP are, quite simply, worth more. With a Method Grid platform in place you enable the incremental growth of your IP capital as an everyday, whole-firm endeavour. 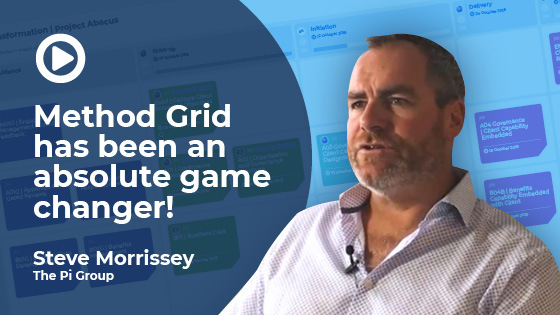 Method Grid is not just your home for repeatable best-practice; it also enables users to track their way through the delivery of such procedural instances - step-by-step - with easy-to-use checklists. Via graphical progress drill downs, managers can easily track and support such delivery progress across the organization. High-performing organizations are consistently excellent at the first-impression process of on-boarding - be that new staff or new clients. Method Grid expedites the time it takes for new colleagues to become meaningfully contributive - and - supports their continuous professional development in your firm's unique way of working. 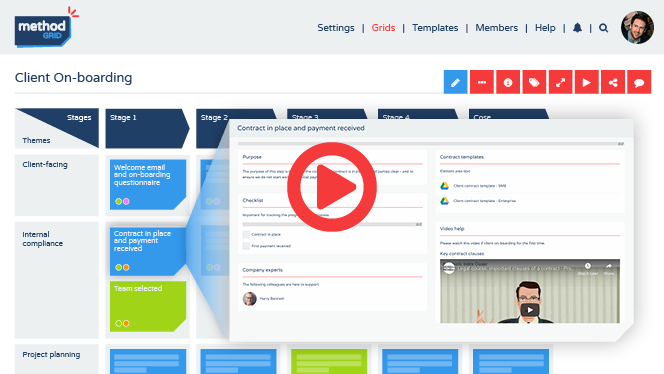 Method Grid enables a professionally-consistent new client journey.